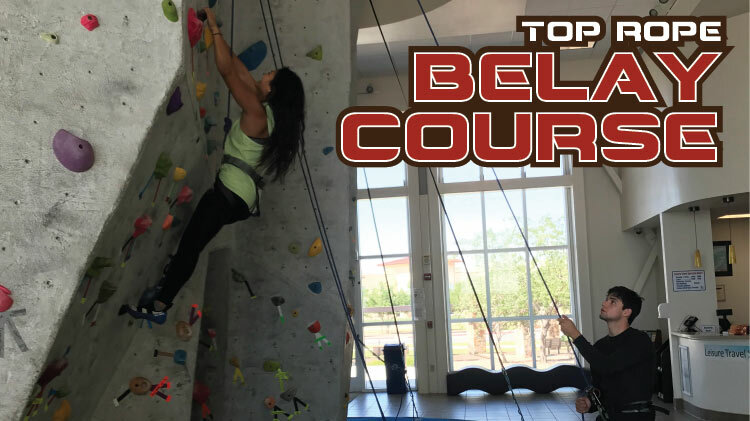 Join Fort Bliss Outdoor Recreation and climb to new heights with the Top Rope Belay Certification. This course, taught by certified Climbing Wall Instructors from American Mountain Guide Association, trains new belayers for the responsibility of top rope belay. In this course, climbers will learn proper knots for tying in, safety checks, and top rope belay techniques for top rope climbing at the Robert Loeza Soldier Activity Center. No experience is required. Don't wait, sign up now with Fort Bliss Outdoor Recreation! Age requirement is 12 years and above. Must sign up 24 hours in advance.